Glass has been made by man for nearly 6000 years. Yet, over all these centuries, developments in its applications and capabilities have been restricted within very narrow confins. 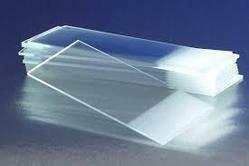 In this last half century, the rapid strides in science and technology have been led to extensive research into the properties and compositions of glass and it is possible to construct a suitable glass to meet virtually any specific need. 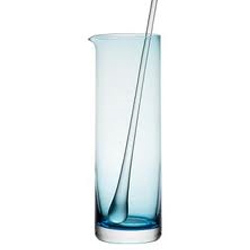 With our vast experience and knowledge, we manufacture and export an exquisite range of Scientific and Laboratory Glassware all around the nations. All these glass wares are well designed by the experts and are widely appreciated by our clients. 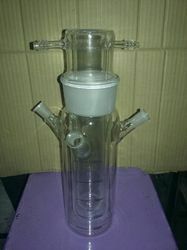 Some of them are as follows: Lab-Adapters, Lab-Beakers, Lab-Bottles, Lab-Condensers, Lab-Columns, Lab-Flasks and many more. We are one of the reputed companies that manufacture and export a large range of Lab-Funnels all around the world. Our products are made up of high grade plastic material. These separating funnels help in pouring chemicals from vessel to vessel. Our products are designed exclusively and are offered at various dimensions and capacity. 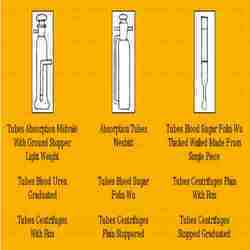 Client can avail from us a wide range of Lab Test Tubes, as we manufacture and export these products as per the requirements of our clients. Our products are made up of premium grade raw material sourced from a reliable and experienced vendor in the market. These glass test tubes can be purchased with or without stopcocks. Lab Photo Chemical reactors are available for the synthetic photochemistry engaged in synthesis employing halogenation, excitation or degradation methods. The reactors are designed to be efficient and include provision for irradiation by low or medium pressure mercury lamps. Double wall immersion wells in quartz permit water cooling of lamps or filtereing or exitation radiation. Available in 6V, 12V, 18V, 125V & 250V along with power supply. 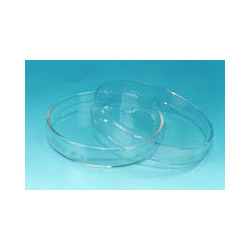 Glass petri Dish made of borosilicate glass also Borosil make in different sizes are readily available with us. 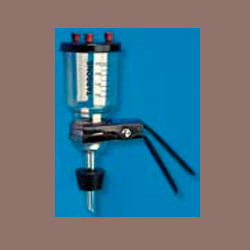 We manufacture dissolution apparatus as per usp standard dissolution jar used for tablate testing. Capacity 1000ml & 2000 ml. We manufacture this jar from best quality borosilicate glass with most at economic price.ur provided laboratory jar is manufactured by utilizing high-grade material and technologically advanced machines. 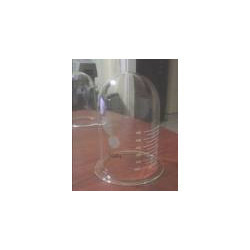 This laboratory jar is extremely appreciated among our clients for its crack resistance and excellent strength. Frosted Micro slides certain area of Micro slides is frosted which facilitates easy writing & marking on the slides. Pack: Per Packet 50 nos. With our wide experience and knowledge, we manufacture and export a quality range of Stirring Rods all across the world. 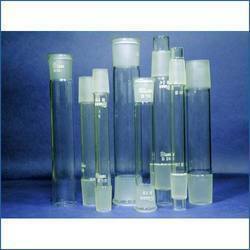 All these tubes are well designed by the experts and are highly durable in nature. These are easy to handle and use and needs less maintenance as well. 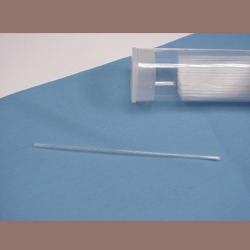 Our products are widely used in various laboratories and industries. 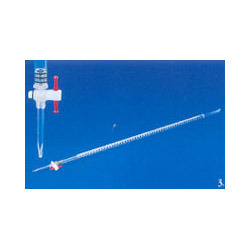 We are a highly reckoned manufacturer and supplier of the Pipette Tips is a sophisticated laboratory tool transfer precisely measured volume of liquid. 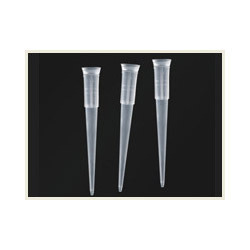 The universal pipette tips which we offer is a registered trademark of gilson, thermo fisher scientific finnpipette, eppendorf and biohit. We are also offering a large range of Interchangeable Ground Joint to meet the demands of our clients. The product comprises of nice surface finishing and is highly demanded by our clients. At every step of production these products are stringently tested as per the international standards. We are offering these products at different sizes and dimensions. 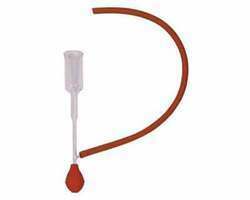 Filter Funnels With Clamp are used to measure and concentrate particulate in a fluid sample onto a membrane filter or to purify the filtrate. 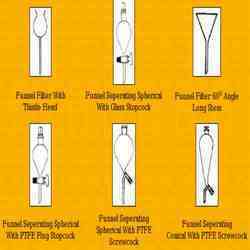 Our funnels are of rugged construction and have a very long service life. 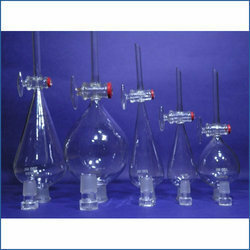 these clear funnels have internal helicoid ribs to increase the filtration speed. Vertical outer ribs prevent airlock. Made from autoclavable plastic resin, these funnels are unaffected by corrosive liquids and are heat resistant.